The following classes are offered with any new serger machine purchase from Rich's. Call for upcoming dates and times, and sign up today! This class if for standard four thread sergers to teach all the basics. Threading, tensions, corners, seam allowances, ripping, differential feed, and rolled hem are all covered in theis two hour class. These sergers feature the jet-air threading that has made Babylock our best-selling serger hands-down. 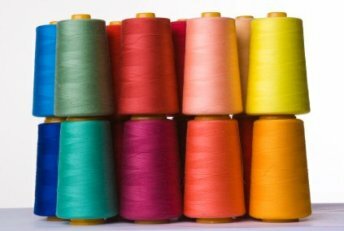 This two-hour class teaches easy threading, seam allowances, using the cutter or locking the knife, corners, ripping, elastics, piping, differential feed and shirring, and easy thread changes. This is all the fun stuff! Wide and narrow three-thread decorative edging is shown with gorgeous Decor 6 thread, rolled edging and flat, narrow edging with Polyarn thread, and perfect flatlocking. This class shows the functions of chain and cover hemming. Learn where to use these stitches and where they excel in your construction and embellishment. See why the factory garments use these techniques so often.